I have been wearing the same worn-out pair of Prada glasses for about 10 years and to be honest, I've really put them through the ringer... They've been broken twice, sat on, stepped on, slept in and melted with a curling iron. They were also out-of-date prescription-wise and it was time for me to replace them. I searched high and low, often neglecting to notice what was right in my neighbourhood (maybe cause I needed new glasses), but I finally found what I was looking for at Ollie Quinn in Putney. An adorable shop, the Ollie Quinn Boutique in Putney is as stylish as the glasses they sell with an upside down garden on the ceiling and decor that could only be described as modern hipster chic. With a wide variety of styles available, there are optical and sunglasses options for pretty much everyone and every pair is just £98 with the lenses included. No extra fees, no hidden charges and every pair has the same price tag, making the process easy and affordable. 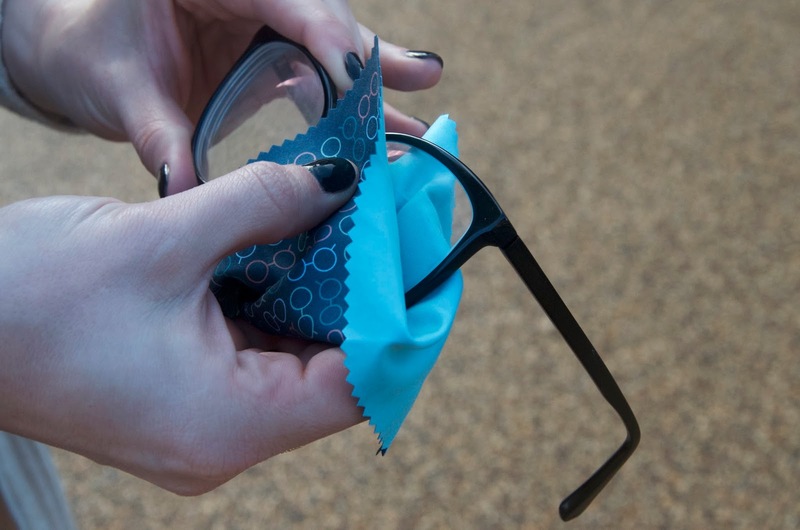 Each pair of glasses comes in a cute, geometrical case along with a cleaning cloth. All adjustments can be done in-house at my local Ollie Quinn shop and they even offer eye exams as well on the premises. Since collecting my adorable new frames from Ollie Quinn, I've been wearing my glasses a lot more and doing so with absolute joy. I love my oversized, nerd glasses and lately I've been planning my outfits around them - the style I chose is called Jelka. 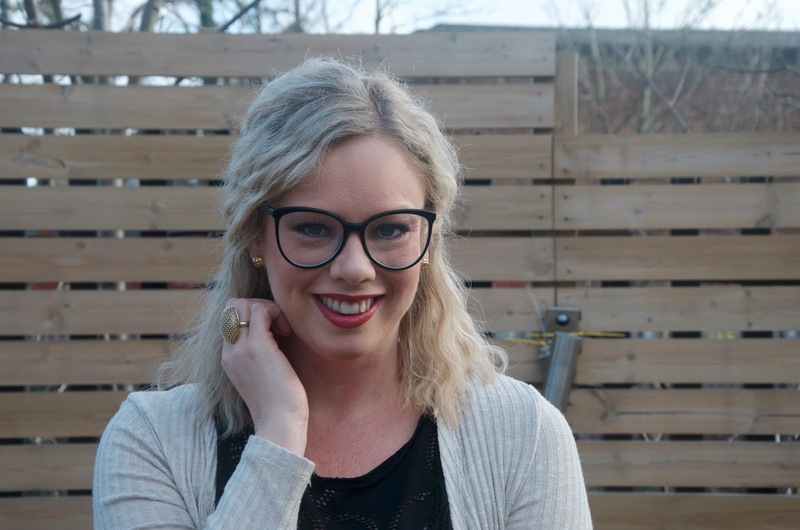 The only complaint I would have about my experience is that my glasses took a lot longer to arrive than expected, which to be fair was frustrating, however Ollie Quinn made up for it with a 10% refund and to be honest, my fun new specs were worth the wait. I'll definitely be heading back for a second pair soon and I love that their made & designed locally! 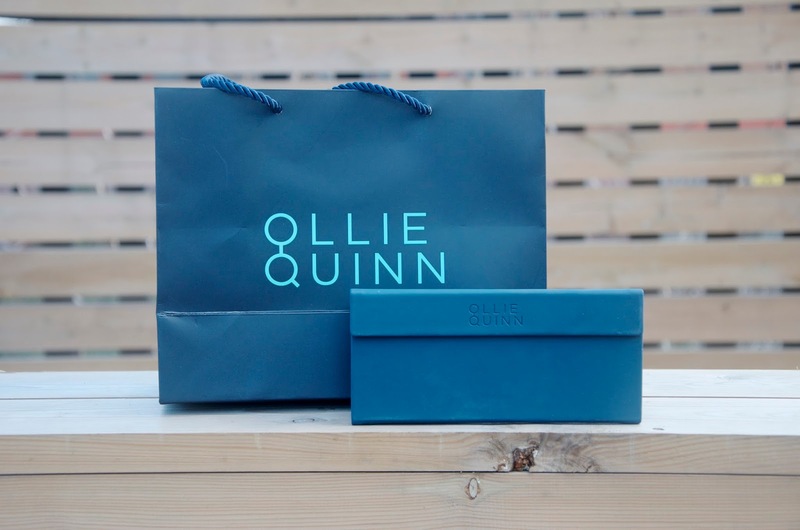 Ollie Quinn has boutiques all over the UK and Canada as well as a shop in Seattle, Washington. 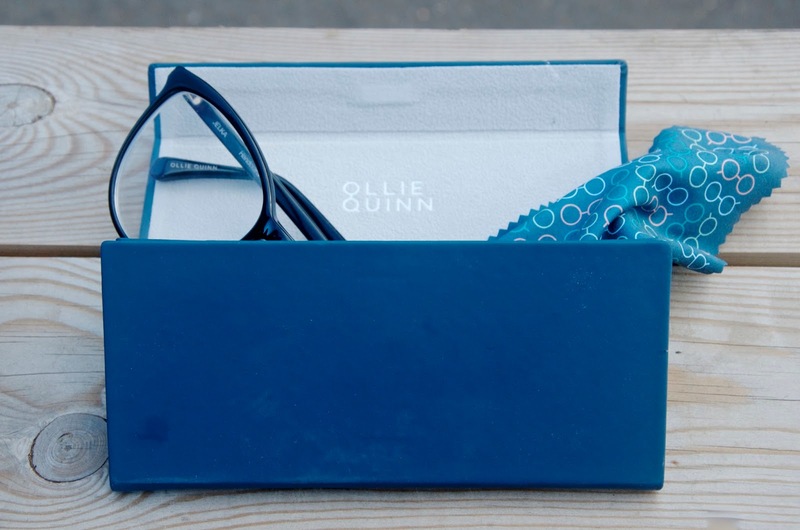 The glasses are also available to order online if you have a prescription in the UK, USA and Canada at olliequinn.com - simply select the appropriate country via the dropdown menu at the top right corner of your screen. All styles are still one great price in other countries, ringing in at $125 in the USA and $155 in Canada. For more information or to pick out a style for yourself, visit olliequinn.com. FYI - This post isn't sponsored. I purchased these glasses myself and I just really love them!